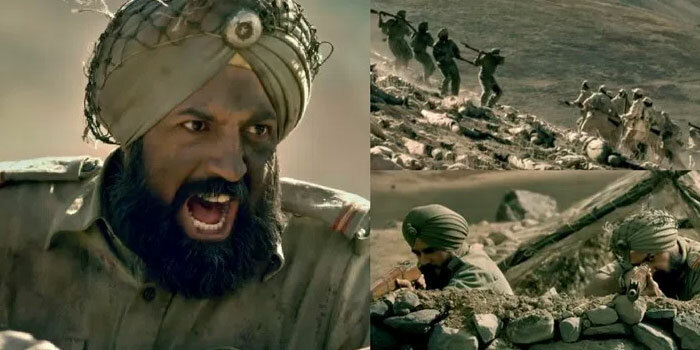 Much- anticipated war film, the first ever on a Param Vir Chakra recipient; titled on the name of the martyr ‘Subedar Joginder Singh’ has once again bombarded the internet with its making which was released today by the makers ‘Seven Colors Motion Picture’. Behind the scenes footage released by the makers is sending shivers down everyone’s spine for obvious reasons. Biting cold temperature, trekking across rough and bumpy terrains, turbulent winds in Drass-Kargil on one hand, and uninterrupted working in the scorching and sultry weather of Suratgarh, Rajasthan on the other, didn’t stop the crew from doing their bit to make this film possible. Sino-Indian War 1962 happens to be a painful, yet, a proud remembrance for Indians owing to the extraordinary courage and valor of the Indian soldiers. It takes us back to the time when our nation had just freed itself from the shackles of British rule, and got split into India and Pakistan. The nation was still healing from the past wounds, that on October 20, 1962, India was attacked by China, which India never expected. The belief of ‘never being attacked by China’, due to the long friendly ties between 2 countries in the past, didn’t allow India to prepare for this war. Consequently, this imposed an unprecedented situation of war between India and China, when the latter launched a vast attack from Aksai-Chin to Arunachal Pradesh simultaneously. In response to this sudden and unexpected attack, the brave Indian soldiers carried out their duties as strong retaliation against enemies. Within this situation, Sikh Regiment 1 of the Indian Army was guarding the border of Tawang sector at Tongpen La, IB Ridge, Bum La against numerous Chinese enemies. Though, the Chinese being heavily outnumbered, Subedar Joginder Singh, the commander of 11th platoon of Delta Company, kept the morale of his men boosted. The Sikh soldiers stood strong against the Chinese attacks. The number of Sikh soldiers being substantially depleted by each wave of enemy attack, having being run out of ammunition, Subedar Joginder Singh, himself being shot in the thigh, didn’t make him and his men leave the battle field and continued killing the enemies. All through this, Subedar Joginder Singh displayed his love for motherland and an unforgettable devotion towards his duty. The sacrifices of the soldiers are very conveniently forgotten. But, the film, inspired from the life of Subedar Joginder Singh is all set to bring this man, who is synonymous to courage and is an epitome of self-sacrifice and extraordinary bravery, back to life. The makers have delved into the history to bring out the events and incidents of his life, most authentically. As far as the locations chosen for shooting this highly anticipated biopic of Subedar Joginder Singh is concerned, to call them challenging would be an understatement. It has been shot in extreme weather conditions of Suratgarh, where the mercury soared to a melting level, and it has been filmed in bone-chilling climate of Drass, Kargil where the temperature drops below freezing point! Seven Colors Motion Picture Pvt. Ltd. – the production house dedicatedly working towards making of this film are appearing to be the most prominent ones amongst contemporary Production houses. In the era of easy going, and commercially viable film making, this particular production house chose a subject which is of huge significance to the entire nation. That’s a change of pace forPunjabi cinema! So much so, the sources reveal that Seven Colors Motion Picture, is the only production house in Punjab which manages end-to-end value-chain of film production; right from the scripting to the release of the of films (theatrical, digital) is managed in-house. 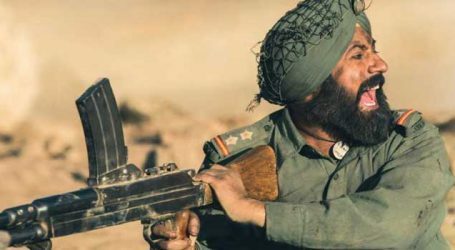 This much anticipated biopic of the Param Vir Chakra recipient ‘Subedar Joginder Singh’ is all set to release on the April 6 worldwide. Teaser launch of nation’s first ever biopic of Param Vir Chakra recipient ‘Subedar Joginder Singh’.